Published on Thursday, February 15, 2018. Ceramist, educator, and ACC Fellow Paula Winokur died on February 4, 2018, at the age of 82. A lifelong resident of Philadelphia, she was a leading figure in the Philadelphia ceramics and craft community, as well as nationally. Winokur began as a production potter, and later moved to creating boxes featuring female faces and decorative surface treatment obtained by pressing lace into the clay. These boxes reflect an Art Nouveau aesthetic and dream-like quality. In 1982, Winokur experienced a shift in perspective for her work – moving from internal musings to the external relationship with nature. Impressed by the sight of the Rocky Mountains as she flew across country, she began to create pieces that mirrored the natural landscape, particularly the rocky terrain of mountains and canyons and the structure of glaciers and ice floes. Later she would use her art to bring attention to the impact of climate change on the earth’s glacial ice. Born and raised in Philadelphia, Winokur enrolled at the Tyler School of Art at Temple University and earned her BFA and her teaching degree in 1958. While at Tyler, she met her husband Robert, and they married in the summer of 1958. The Winokurs opened a production pottery business in Ashfield, Massachusetts, called Cape Street Pottery in the early 1960s. In 1966, they returned to Philadelphia, when Robert was offered a teaching position at Tyler. Paula persevered in building a teaching career of her own. In 1973, she began teaching ceramics courses at Beaver College (which later became Arcadia University) and is credited with building the ceramics department for the university. She remained at Arcadia for 30 years and retired from teaching in 2003. Paula was active in organizations such as the Philadelphia Council of Professional Craftsmen and the Northeast Regional Assembly of the American Craft Council, and she served on the boards of the National Council in Education for the Ceramic Arts and the Clay Studio in Philadelphia. She received numerous awards including fellowships from the National Endowment for the Arts and the Pennsylvania Council on the Arts. She was named Honorary Fellow by NCECA in 1983 and inducted into the ACC College of Fellows in 2002. An oral history interview of Paula Winokur is in the collection of the Smithsonian Archives of American Art. Her work is held in public collections around the world, including the Philadelphia Museum of Art, the American Craft Museum in New York (now the Museum of Arts and Design), the Museum of American Art at the Smithsonian Institution, the Design Museum in Helsinki, Finland, the Jingdezhen Ceramic Art Institute in China, and the Fuller Craft Museum in Massachusetts. 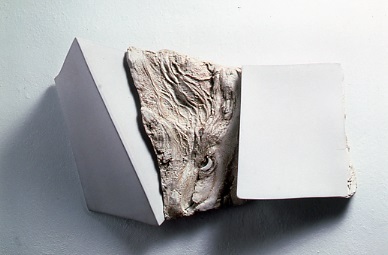 Paula Winokur, Cliff Strata: Fragment, 1999, porcelain, 16 x 26 x 9 in. 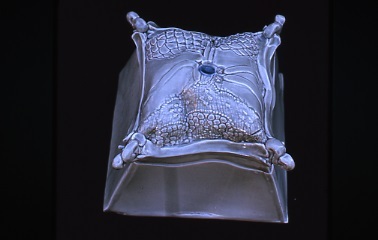 Paula Winokur, Porcelain Box, 1975, porcelain, 8 x 8 x 7 in. 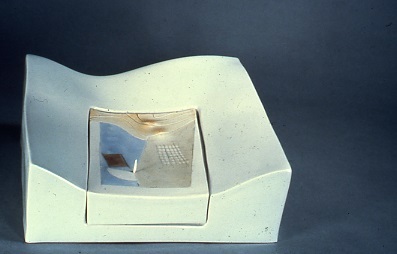 Paula Winokur, Aerial View: Markings, 1982, porcelain, 13 x 11 x 5 in. 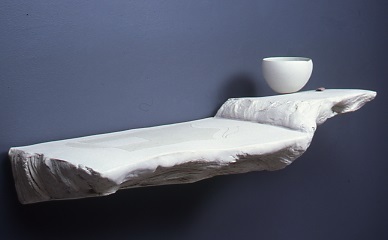 Paula Winokur, White Canyon Ledge, 2000, porcelain, 32 x 16 x 9 in. 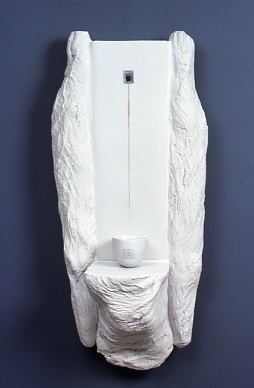 Paul Winokur, Shrine for a Small Bowl, 2002, porcelain, 26 x 12 x 6 in. 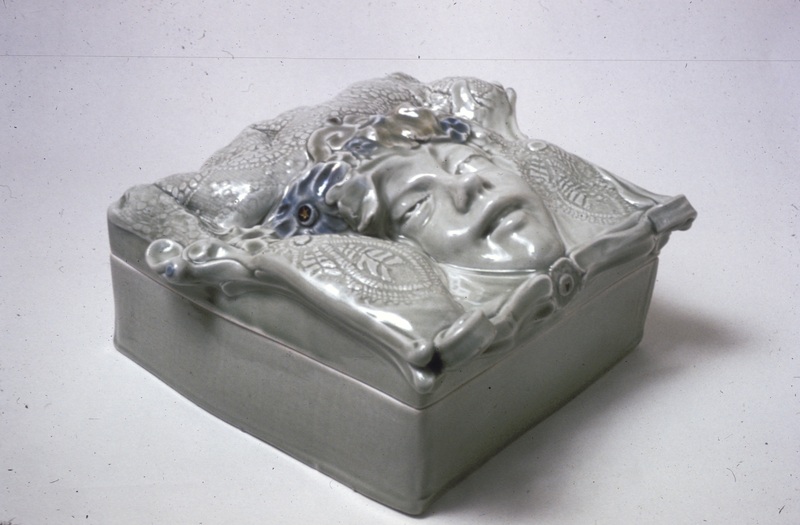 Paula Winokur, Porcelain Ophelia, 1973, porcelain, 11 x 12 x 5 in.